Ever since we moved back to the East Coast, I’ve been appreciating the seasons more and with Spring just around the corner, I get excited to try out different salads. 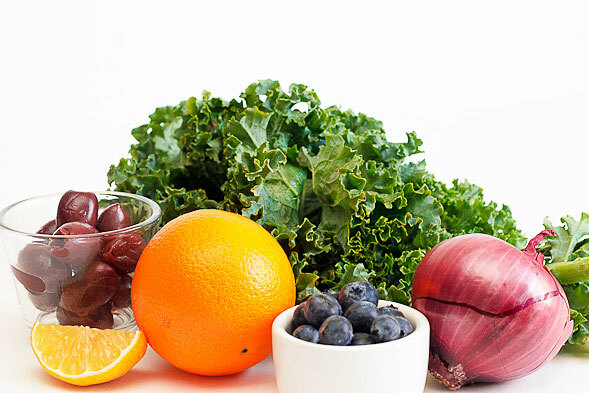 I love the addition of fresh fruit to salads and this particular mix of ingredients is a must try. 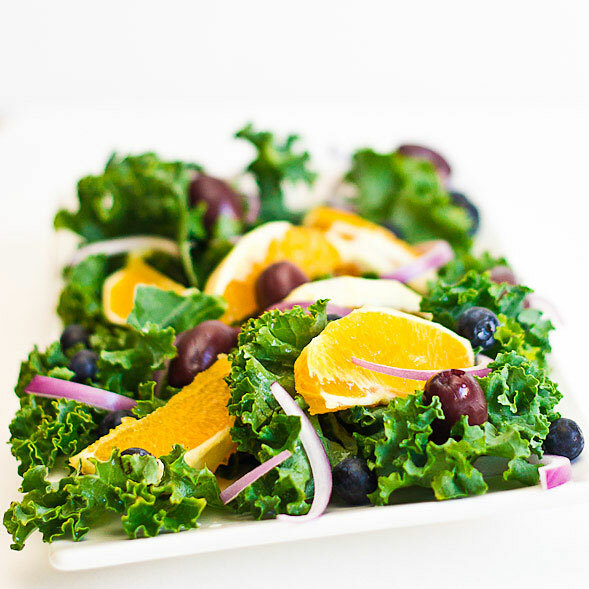 I combined sweet oranges and blueberries with sliced red onions and olives on a bed of kale leaves. The flavors were truly outstanding. 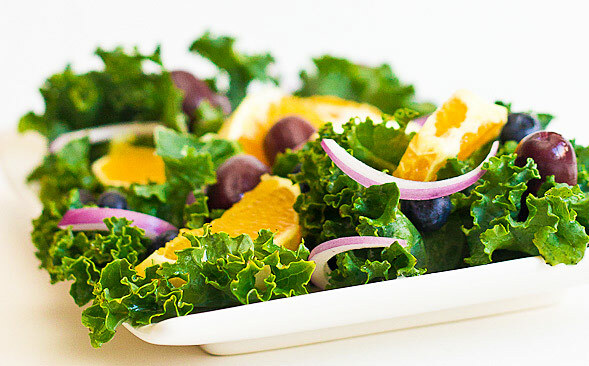 Packed with bold flavor and vibrant colors, it’s the perfect salad to serve at a party along with some fancy BLT’s. For a bit more crunch, add a sprinkle of toasted pine nuts on top. 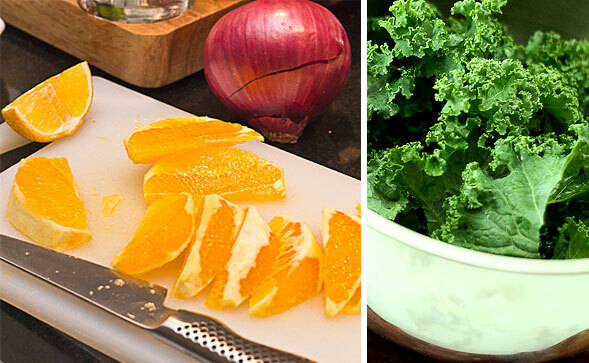 Slice oranges & onion, then toss kale leaves & olives into a large bowl with dressing. Using a sharp knife, remove the peel and white pith from the oranges. Then slice out segments, discarding the seeds and white membrane. Set aside. In a small bowl, mix together the olive oil, lemon juice, honey, salt and pepper for the dressing. Then place kale leaves and olives in a large bowl and toss with about 3/4 of the dressing. Place kale leaves and olives onto a serving platter. 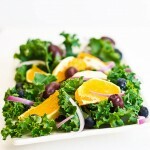 Top with oranges, sliced onions and blueberries, then pour remaining dressing over top.